Planning is the most important step for every pursuit of yours whether professional or personal. It is the deciding factor when it comes to making your website design journey easy or difficult. Initially, plan on what you want to develop your website for. Is it for a software company, a fashion company, a shopping site, etc? This step is quite important as it directs who your user will be and what they’ll be expecting on their visit to your website. You have to at least meet the user’s expectations, and it would be better if you could exceed them. Next, plan and decide on what you want to show on your website. Remember that the user’s average attention span is 5 seconds before they move on to another website if they don’t like yours. Keep in mind that most people access websites through their mobile phones these days and hence plan the compatibility of your website with them. Make sure that you cover all the details in order to avoid making multiple changes in the future. While designing your website, always maintain a simple interface through which even the newest of users can glide through easily. This can be done by keeping the most important and most asked for details and links at the top of the website. It will make things easier to the users and make them stay on the website rather than go to another one where the details are more easily available. Also, make sure that the interface is consistent especially if you are using multiple web pages or pop-windows. Don’t make the experience tedious for the user by making them adapt to every page. Rather make it similar to the previous page, though, of course, the content might vary greatly. 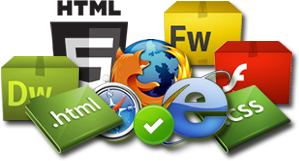 Provide proper and clear links to move back to the page the user came from and most importantly, to your home page. Use simple fonts which don’t strain the user’s eyes or confuse them. However, remember that it is also your duty to make it attractive enough for the user to stay on your website rather than make the user regret visiting your boring website. Add images, different complementing colors, animations, etc. to achieve this. Many find it necessary to cover every small detail about their company. But does every user need all the details? More often than not, that is not the case. So, do not clutter a single webpage with all the details. Instead, divide your content into various sections like the latest products, job openings, achievements, company history, and brand logo, etc. Arrange the different sections according to priority while simultaneously providing links to access to different parts. Provide links such users can scroll down to the required content or open a new web page altogether. Prefer scrolling down for small contents and moving to a new page if it is about a new and vast topic. Make sure that you provide links to move easily from one page to another and to the top of the page if you are using a single long page. However, all this is of no use if the user can’t contact the company. So, add contact details like a phone number, an email address, a location or all and mention the timings during which the company can be contacted. Thus, by integrating these simple steps, one can design a professional website which attracts users to stay and use your website while improving the company’s business.